In 2012 the Federal District Court set aside the BLM plan to allow oil and natural gas development on the biologically rich Roan Plateau. Ordering the agency to take another look, the court ruled that the BLM failed to sufficiently address cumulative effects of drilling on air quality and failed to consider potential ozone impacts. 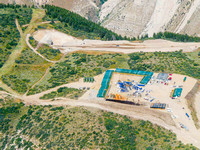 In November 2014 a settlement was reached that removes the threat of drilling from much of the top of the Roan and keeps drilling off parts of the base through "no surface occupancy" or by closing it to leasing. And in January 2015, the Obama Administration formally withdrew the contested leases from the Roan. 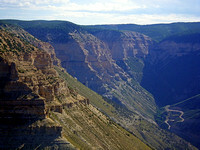 Ranked as one of the four most biologically diverse areas in Colorado and rising 3,500 feet above the Colorado River and the Grand Valley, the dramatic Roan Plateau with its rolling aspen forests and meandering trout streams is surrounded by a sea of drill rigs and bulldozed roads below. 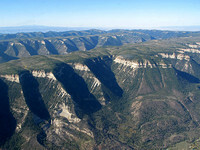 The Roan Plateau provides critical habitat for one of the largest mule deer herds in Colorado. Most of this herd’s habitat has already been leased for energy development, making the few remaining areas of critical range – like that at the Roan Plateau – all the more valuable to our state’s wildlife. Hunting on the Roan Plateau brings 1,500 hunters and results in almost $5 million for the local economy annually. The Roan has become the premier symbol of the pitched battle between the oil and gas industry and the growing alliance of local communities, hunters, anglers and conservation groups fighting for the future of Western Colorado. 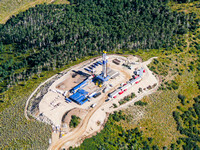 More than 90% of the BLM controlled area is leased or available for energy development, and oil and gas companies operating in the region have acknowledged that they have a decade's worth of drilling sites. Approved drilling permits have increased exponentially in the past several years all around and even on the private land within the Planning Area. 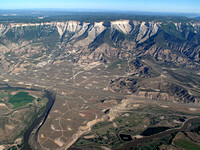 2007 saw another all time record set for drilling permits in Colorado. 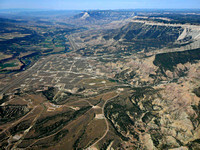 In Garfield County alone, over 2,500 gas wells were permitted last year. 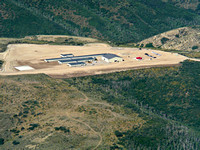 Already over half of the Roan Plateau Planning Area is either owned outright or leased by oil and gas companies, and intensive oil and gas development is already taking place at the base and on the western one-third of the top of the plateau. 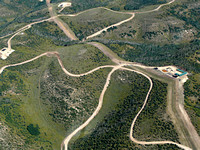 The issue of the protection of the top of the Roan Plateau was part of the revamped 2007 Energy Plan but unfortunately was removed at the last moment as part of the compromise to push the Energy Bill through the Senate. In 2008, the BLM sold leases on the plateau worth $114 million, said to be the highest-yielding lease sales in the U.S. up to that date. 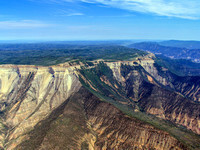 Ten conservation groups immediately filed a lawsuit against the agency to protect the top of the Roan, which ultimately produced the 2014 settlement.